PASCO – Sherten Apostel delivered the biggest hit of the Spokane Indians’ season. 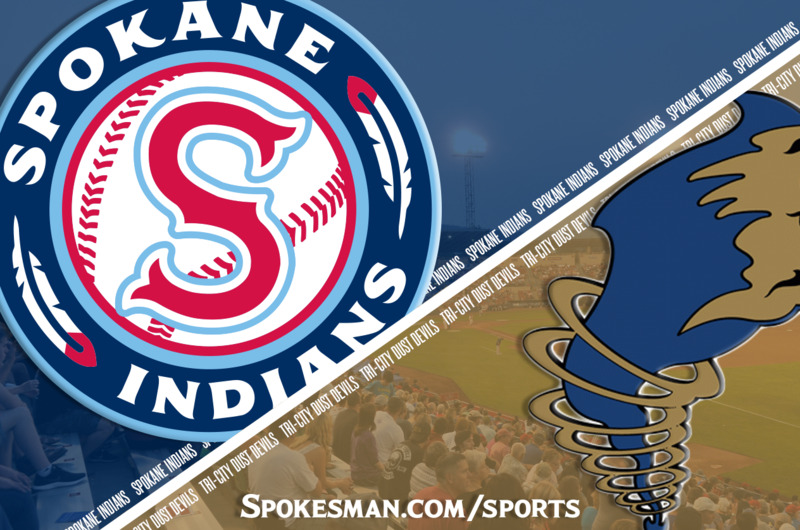 His three-run home run with two out in the eighth inning put the Indians ahead and Spokane went on to defeat the Tri-City Dust Devils 4-3 on Friday night. The win sets up a winner-take-the-second-half showdown with Vancouver to wrap up the regular season. Vancouver and Spokane (20-15) are tied entering their regular-season-ending three-game series at Avista Stadium. The first game is Saturday at 6:30 p.m. The winner of the series will win the second half and face first-half winner Everett for the North Division title and a berth in the Northwest League championship series. After losing two of three to Spokane, the Dust Devils (16-18) are 3 1/2 games behind the division leaders and are eliminated from postseason contention. Apostel’s homer, his first, capped the Indians’ comeback from a 3-0 deficit and set the stage for Emmanuel Clase, who pitched the eighth and ninth innings, recording his 11th save and lowering his ERA to 0.66. In the ninth, Clase retired the first two batters, then gave up a double to Justin Paulsen. Luis Asuncion lined out to Diosbel Arias at second base to end the game. In Vancouver, B.C., Everett defeated Vancouver 9-3 in a game that featured Hisashi Iwakuma as Everett’s starting pitcher. Iwakuma, on rehab from the Seattle Mariners, pitched two innings and did not allow a run or a hit. He walked one batter. Published: Aug. 31, 2018, 10:37 p.m. Updated: Aug. 31, 2018, 10:53 p.m.